Wood's Lane Farm is located in Mt. 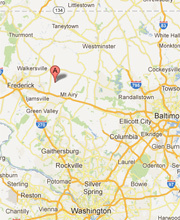 Airy, MD, about 12 miles east of Frederick, MD. Click here for a MapQuest map to Wood's Lane Farm.